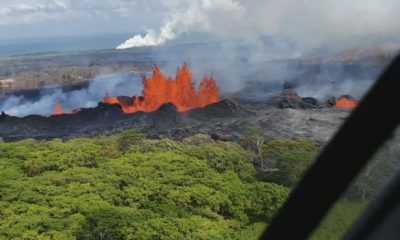 PĀHOA, Hawaiʻi - Puna turned out for a "2019 Lava Disaster Recovery Update" organized by Hawaiʻi State Representative Joy San Buenaventura. 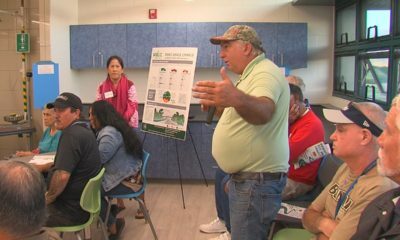 (BIVN) – The Pāhoa Community Center was packed on Saturday, as Puna residents came out to hear an update on the Kīlauea Volcano eruption recovery effort at the state level. The event included a panel discussion from state and county officials. 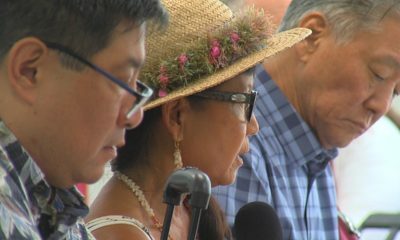 The Hawaiʻi State House Representative for the Puna district, Joy San Buenaventura, organized the event and led the discussion. 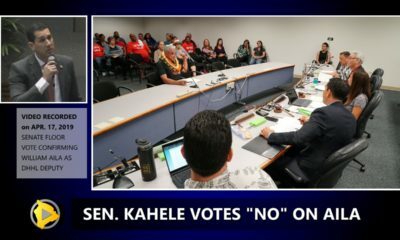 She presented an update on House Bill 1180, which appropriates $60 million for disaster relief for the County of Hawaii. 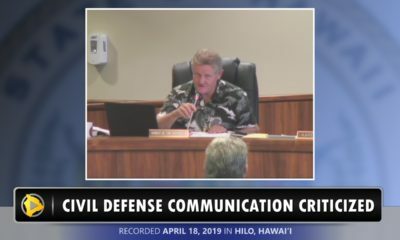 The microphone was then passed around a panel of speakers that included Sharon Hirota, representing the Office of the Mayor, who said that the County is now moving towards long-term case management for those who have been affected by the summer 2018 eruption. The federal government has awarded the County a grant to employ an agency to follow through for the long term. 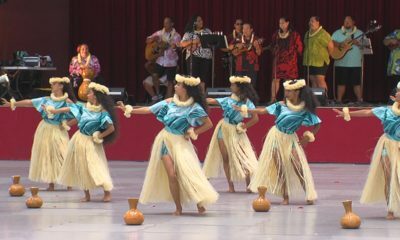 The Neighborhood Place of Puna was represented by Paul Normann, who presented a slide show of collected data. According to one slide, 626 households needed housing assistance on July 17, 2018 – the “peak need” during the disaster. That number is now down to 19 as of February 21, 2019. Puna district councilmembr Ashley Kierkiewicz gave a Hawaiʻi County update, and – as a volunteer at the Puʻuhonua o Puna – talked about the $200,000 raised for the community that is now parked in a recovery account. Brandee Menino of Hope Services Hawaiʻi said they are asking the County to transition the micro-units at Sacred Heart Church Pāhoa, which were built during the disaster under the emergency proclamation, to service homeless. Tom Travis, the head of the Hawaiʻi Emergency Management Agency, said FEMA is going to close the joint field office at the end of the month. The federal government has agreed to open a long-range recovery office which will keep a handful of FEMA people here, he said. He also gave an update on the federal rental assistance situation, which has undergone some changes to the law in recent years. The Mainstreet Pāhoa Association, represented by Kerry Kealoha Kelley and Amadeo Markoff, also made a statement. Hawaiʻi County Police officer John Briski, the newest commander for the Puna district, also talked about efforts to combat looting and squatting in the wake of the volcanic emergency.